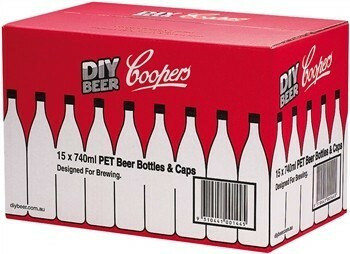 This bundle contains 30 bottles and caps! All the bottles you need to bottle an entire batch of brew! Coopers PET bottles hold 740ml (25 ounces) and are sold in packs of 15, but with this discounted bundle you receive two packs for a discounted price. They are reusable, lightweight and shatterproof. Includes all 30 caps. Enjoy!